The start of the 2017 academic year at Wits has some first year students standing or sitting on the floor due to insufficient seats or venues to accommodate the large numbers. 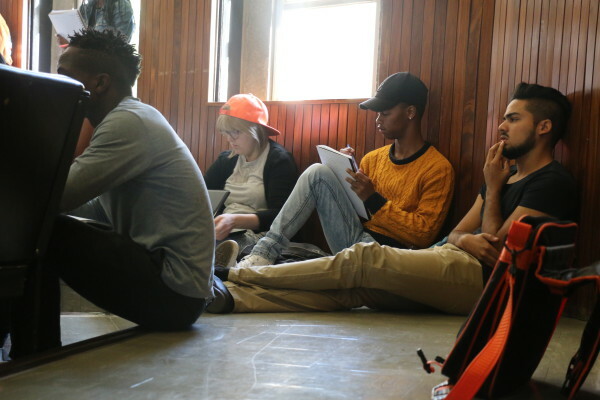 Some first year Wits Faculty of Humanities students have found themselves regularly standing or sitting on the floor in overcrowded lecture halls as the academic year moves into its third week. First year coordinator and sociology lecturer, Louise Hagemeier, said that the number of students in the first year sociology class exceeds the available seats in Senate House 6 (SH6) venue allocated to the class despite it being one of the biggest lecture theatres on East Campus. “We normally get anything between 500 and 550 students in the first year course, and yes we are going over the cap, but I think the bigger issue is that the university isn’t able to give us a venue big enough, even for the cap,” she said. 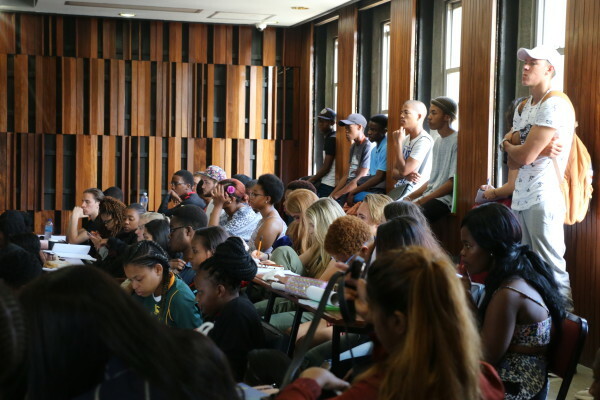 Hagemeier said they have always tried to get a bigger venue, through Venues at the Property and Infrastructure Management Division (PIMD), who allocates lecture venues to the relevant teaching streams and classes however she acknowledged PIMD is not responsible for the overcrowding of lecture theatres. Dean of the Faculty of Humanities, Professor Ruksana Osman said the university faces this issue at the start of every year. “We are committed to increasing access to the university for as many students as possible. Our strategy is to be constantly in contact with Schools and the venues office to determine the most appropriate venues for students to learn in,” said Osman. Anthropology student administrator, Andrea Johnson said the first year anthropology class was facing the same issue. “First year venues are always under capacity, it’s been an issue for as long as I’ve been here, (which is three years), we ask for bigger venues but never get it,” she said. First year BA student, Malesedi Pokello Guambe, who was sitting at the back of the class on a lone chair during her Anthropology I lecture said coming to a lecture where there are no available seats is overwhelming. “Getting into a class and not finding a seat, sometimes it’s stressful, sometimes you cannot even concentrate. After finding out that you don’t have a seat, you just have to adjust to the fact that you don’t have a seat, and you have to listen to the lecture”. Guambe added that the university should accommodate everyone who is registered in first year. “I thought in university we would have seats, so that we can be able to concentrate, sometimes we far away and can’t even hear the lecturer,” she said.